The boycott continues to grow. 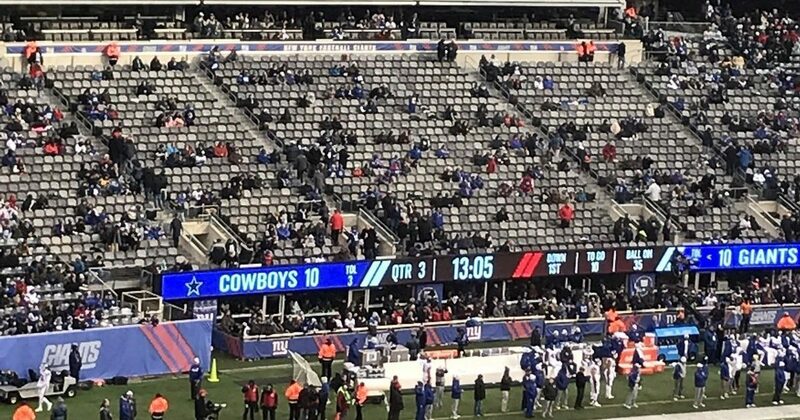 As owners of NFL teams contemplate swan dives from atop their respective jumbotrons, fans continue to demonstrate a growing unwillingness to spend huge amounts of money in support of a league of spoiled crybabies who insist on shoving their middle fingers in the face of America and the fans who were heretofore loyal to the core. Following are pics from around the NFL, December 10, 2017. 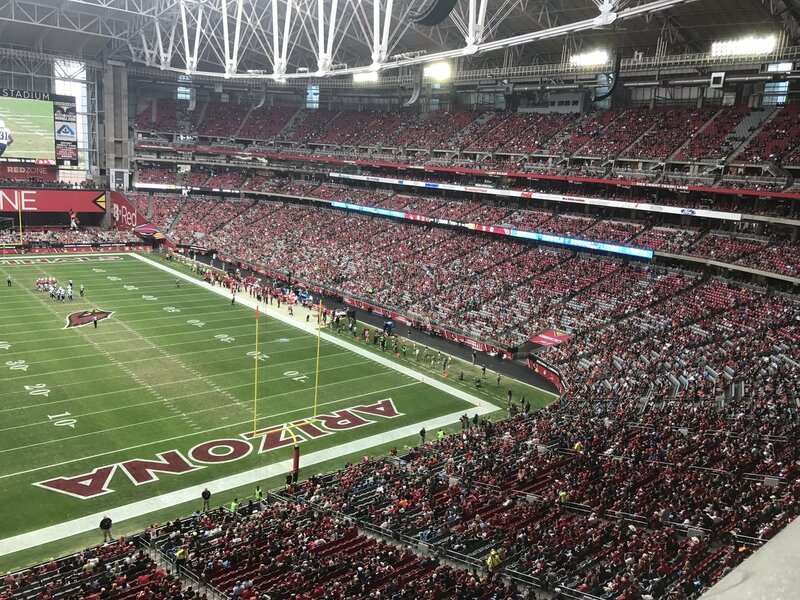 The first pic, below, is of the tiny, 30,000-seat, converted soccer stadium that is home to the LA Chargers, who can’t fill a stadium smaller than one many small colleges use. 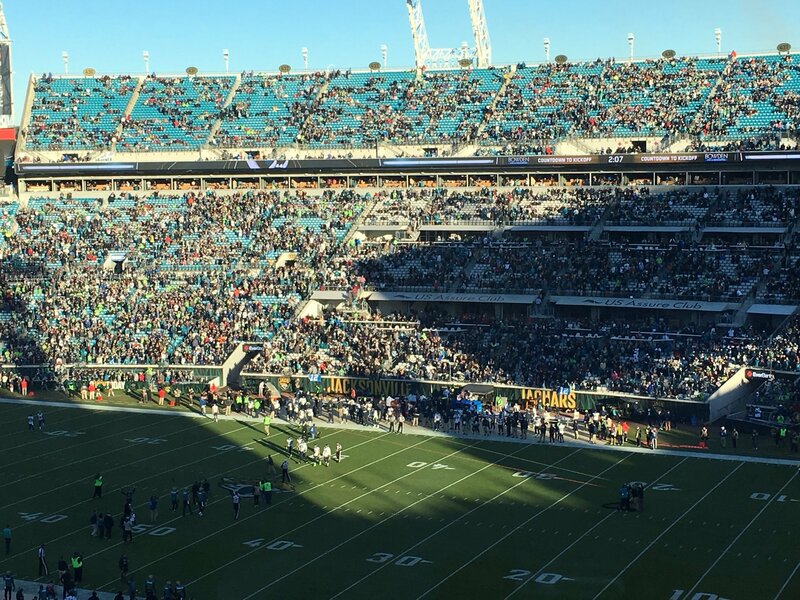 The stadium appears to be about half full. Even half of the ringside seats are empty. In the quoted article below from nearly a year ago, note the bold part of the last sentence. Very scary if you are an NFL owner! 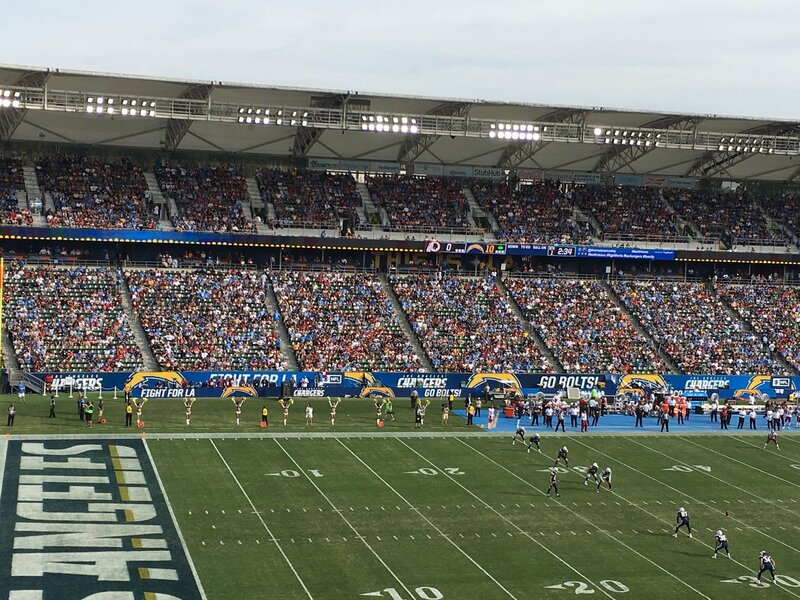 “The Los Angeles Chargers are headed out of San Diego because Qualcomm Stadium was no longer a viable option to host the team and the team’s eventual home will be a new stadium in Inglewood, Calif. set to open in 2019. But while the team waits for the stadium costing more than $2 billion to be built, the Chargers will temporarily play its home games at StubHub Center — a tiny stadium built in 2003 for Major League Soccer’s LA Galaxy — and it’s actually a great idea. Jacksonville. 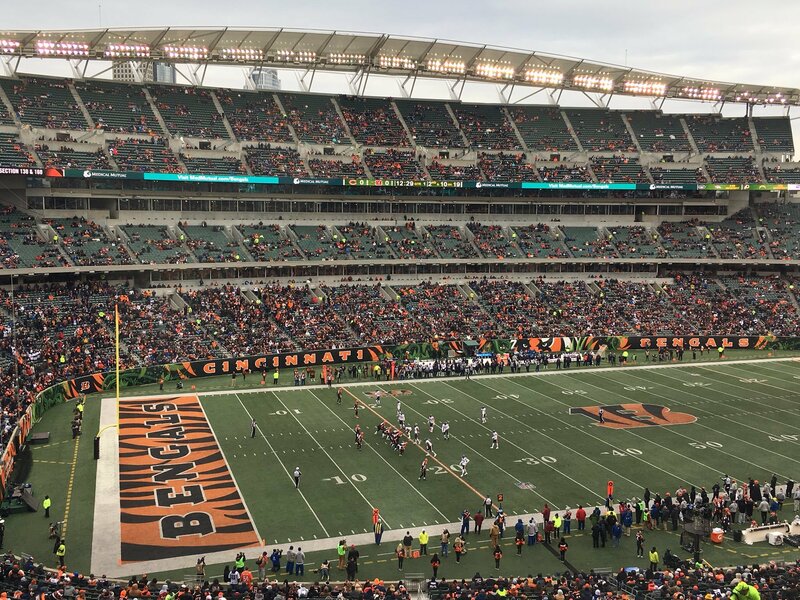 Looks like one of the better-attended games. Still appears to be a little over half full…. Houston. The lower deck appears to be about half full. 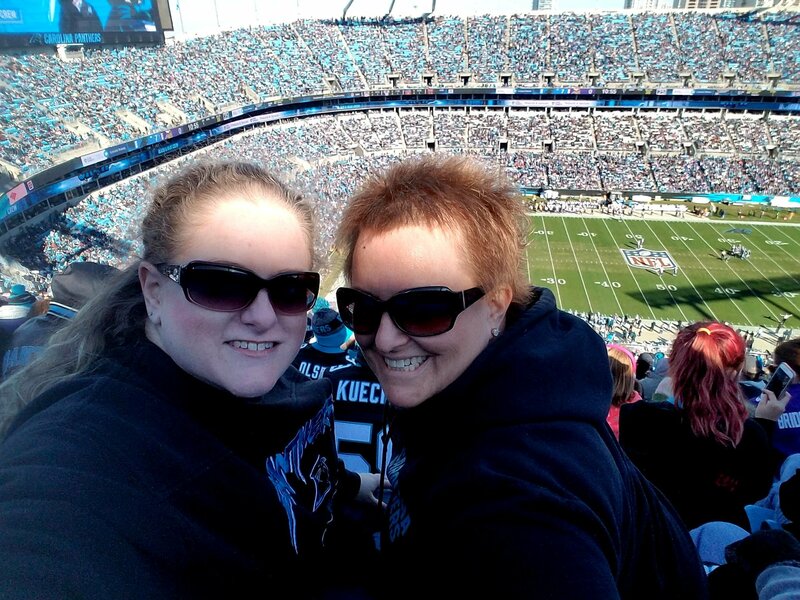 The upper decks, maybe 25%…. 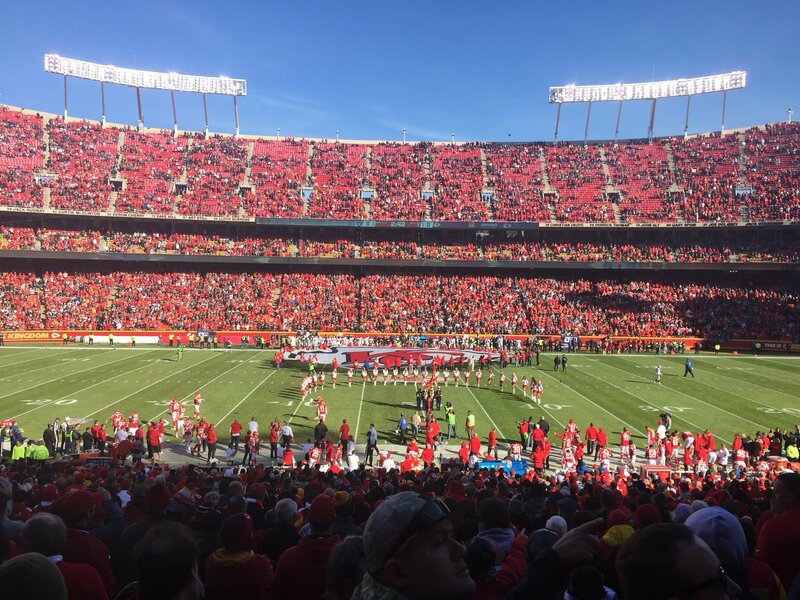 Kansas City, during anthem, just before kickoff. 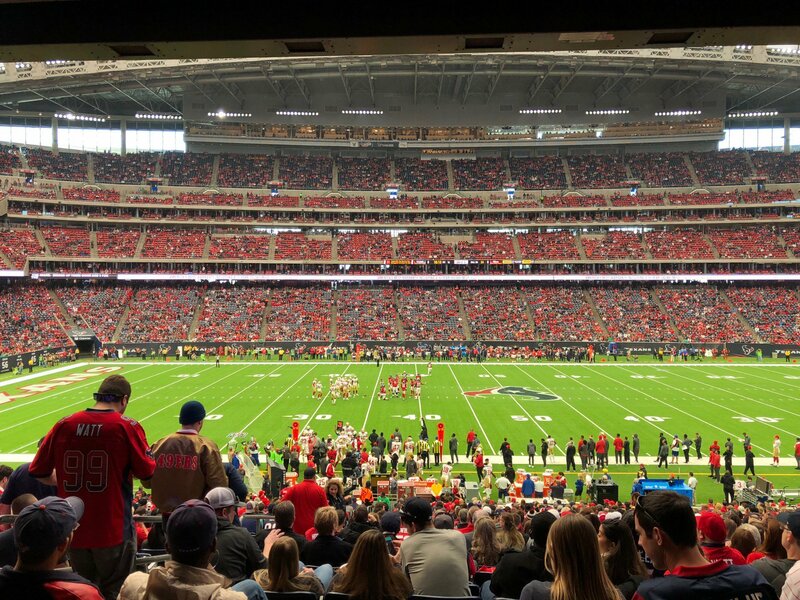 Likely a few more fans showed up in the first quarter…. 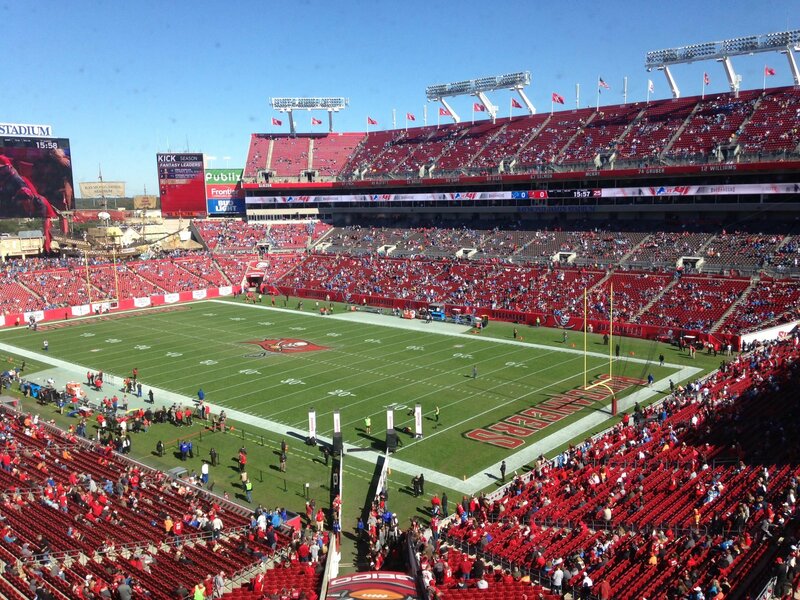 Tampa Bay, just before kickoff…. Cincinnati. Wow! Lower deck, maybe half full. Upper decks – GHOST TOWN!….